Maybe you’ve already dabbled in the world of options. Maybe options are an entirely new concept to you. No matter who you are, you can benefit from one of the most successful income options trading strategies. Selling options for income is easier than you might think. It’s one of the few strategies where you can be wrong about the direction of the market and still win. Warren Buffett, one of the most successful investors of our time, actually uses this time-tested strategy to generate income. While this strategy is easy to understand and execute, you should spend some time learning the basics before you execute your first option trade. Learn the Lingo: What is an Option? Just think of the word option. In our everyday lives, an “option” is a choice. It works similarly when you’re talking about investments. An option is a security. When you’re investing, an option gives you the opportunity to buy or sell a stock at a certain price on or before a specific date. Basically, you’re buying the option to buy or sell an underlying stock at a certain price. There are two types of options: call options and put options. Depending on which you choose, you’ll have the right to either buy or sell an underlying stock at the set strike price. Wait. Strike price? The strike price is the determined price that you can buy or sell the underlying stock for, regardless of how much the stocks appreciate or depreciate in value. Call options allow you to buy shares of stock at a certain price. If you buy a call option, you are expecting that the underlying stock is going to increase in price. That way you can use your option to buy the stock at the lower “strike price” even though it’s worth more. Put options allow you to sell shares of stock at a certain price. If you buy a put option, you’re expecting that the underlying stock is going to decrease in price. This way you can sell the stock at a higher “strike price” even though it is worth less. But options don’t last forever. If they did, you could just wait for the market to turn in your favor. The date your option runs out is called the expiration date, and it could be days or years after you purchase the option. You need to exercise your option before or on this date, or else it will expire. When you buy an option, the price you pay for that option is called the premium. Option contracts give the buyer the right to buy or sell 100 shares of the underlying stock. Therefore, when you calculate the cost for an option you need to multiply the premium price by 100. When you first look at an option contract, it might be straightforward or it might be a little confusing. 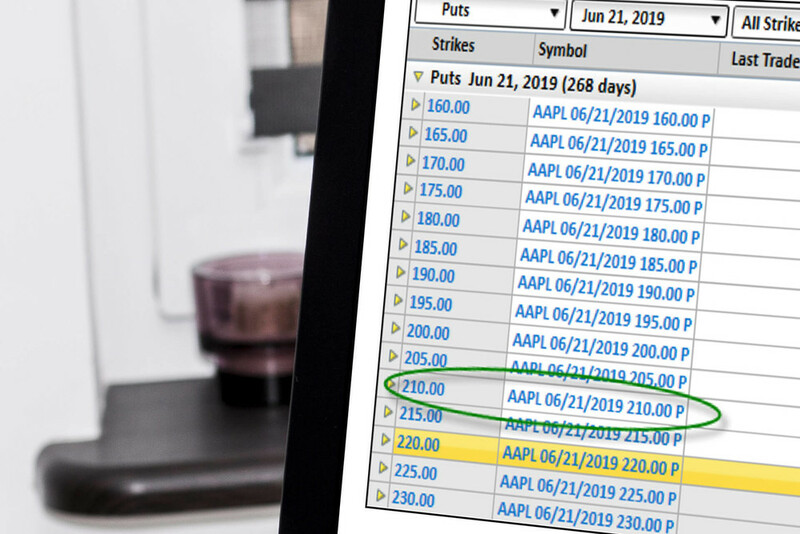 AAPL (Apple) is the ticker, 06/21/2019 is the expiration date, 210 is the strike price, and P stands for “put”. This option lists the ticker—or underlying stock—as AAPL (Apple). The expiration date is ordered as year-month-day. For this option, the expiration date is 200619 (2020, June 19). The next is Put or Call, and in this case, it’s Put (P). Finally, the strike price is 0021000 ($210). This means the buyer can sell Apple shares at $210 on or before June 21, 2019. Remember, each option contract allows you to purchase or sell 100 shares. A put-selling strategy is one of the most effective options income strategies. The most famous investor in the world, Warren Buffett, uses a put-selling strategy. Buffett made huge sums in the wake of the 2008 financial crisis using options to generate income. Instead of just buying a stock that he likes when it's undervalued, Buffett sells options when the stock is overvalued. Selling overvalued puts allows Buffett to rake in large premiums from his buyers. Buffett determines the value of an option based on implied volatility. Implied volatility measures the amount of fear and greed priced into an option. When implied volatility is high, option prices become overvalued. This attracts investors like Buffett. So, how do you know when an option is overvalued? One way to determine if implied volatility is high is to look at the VIX. The VIX is a volatility index created by the Chicago Board of Options Exchange. Implied volatility is high when the VIX is elevated. When the VIX is depressed, implied volatility is low. 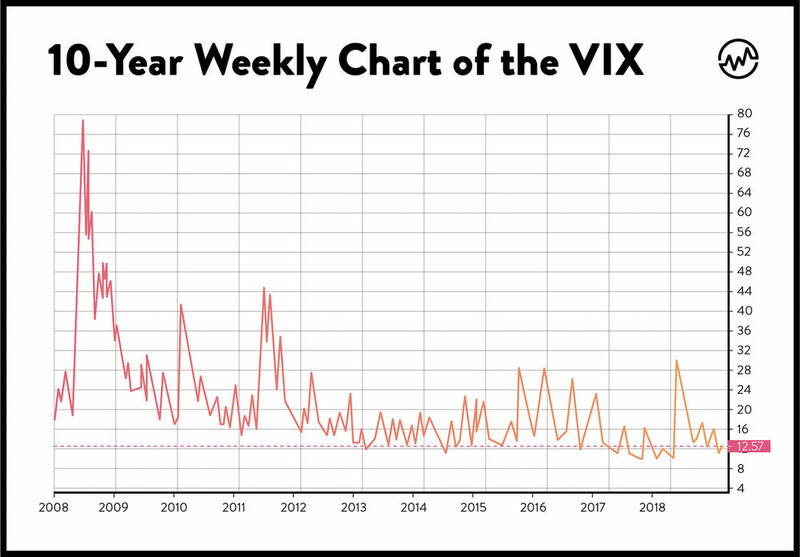 Looking at a chart of the VIX can help you determine for yourself if implied volatility is high or low. Trading options for income is a relatively simple strategy. Note: You should only execute this strategy if you’re ready to own the shares of underlying stock you’re buying the option for. Let’s say Buffett is interested in buying shares of Apple. He would buy the shares if the price was $180, but share prices are currently selling at $222. He’s not going to buy for that price. Instead, when volatility is high, Buffett would sell an Apple put with a strike price of $180 that expires in January 2021 for $12 a share. If the price falls below $180, Buffett’s already established that he’s happy to purchase shares at $180. If the price is $180 or above on January 2021, Buffett will get to keep that $12 per share premium. This means Apple could remain unchanged or even drop 19% ($42 per share = $222-180) and Buffett would still make money. The key to the strategy is that Buffett wants to own the shares when they’re less expensive, but he is also willing to receive income if the price does not drop to his entry level. The best part of the strategy? It’s a win-win. Whether he buys the stocks at a reasonable price or keeps the premium from his buyer, he gets something he wants. Despite the simplicity of this strategy, it does come with risks. 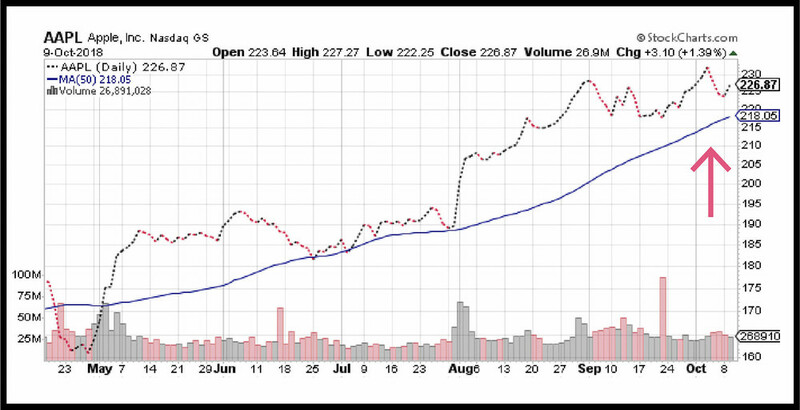 If the price of Apple tumbles below $180 per share, you’re still on the hook to buy it at $180. Since each option contract is 100-shares, your losses can add up if you aren’t careful. You need to set risk parameters when you sell options, just as you would with buying stocks. Understanding how much you stand to earn—and how much you could lose—will help you weigh out your risks. If the strike price is $180 and the price drops below $180 per share on or before the expiration date, you must purchase the shares at $180. 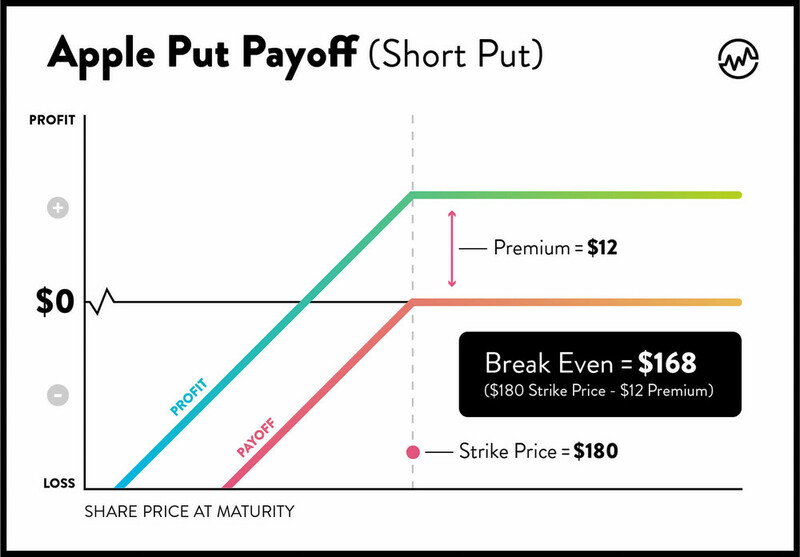 Your breakeven price is $168, which is the $180 strike price minus the premium you receive ($12 per share). If the price of the option is above $168 at expiration, you’ll make money on the trade. If the price of Apple never dips, the most you can gain on the trade is $12 per share. Selling puts allows you to set the strike price of a stock at what you would like to buy it for. Selling puts is even more attractive than selling covered calls, as you do not have to post the capital needed to purchase shares. Once you have completed these steps you are ready to sell a put. Selling puts allows you to win whether the market moves up, down, or sideways. There are some risks associated with options trading. However, if you trade options using specific strategies, they can be even less risky than trading stocks. 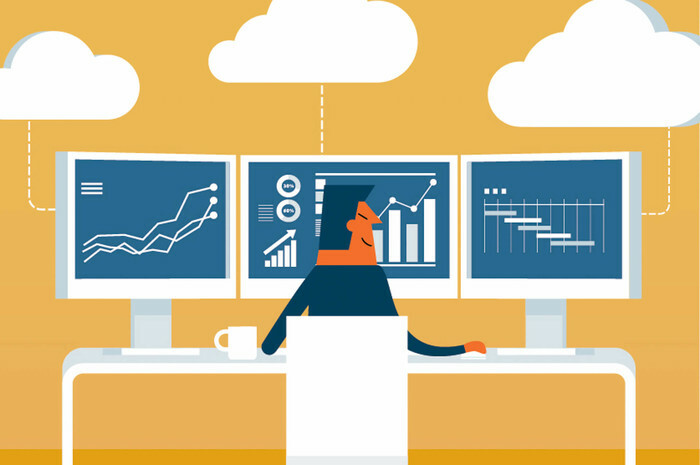 According to the Chicago Board of Options Exchange, selling options is one of the few strategies that outperforms a buy and hold strategy over time. So what are you waiting for? Do the Buffett and sell some puts. Cash Lambert is a staff writer and WealthFit's Social Media Director. 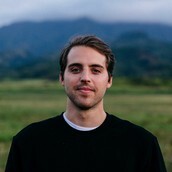 He previously served as the Editor of Hawaii’s Freesurf Magazine. Thinking about investing in a Real Estate Investment Trust (REIT)? Learn what they are, how they work, and how to pick the best one for you. Learn how wholesaling real estate is a great way to flip a property without actually buying it — just follow our 7-step guide. Don McDonald dispels the most common myths about investing and lays out a strategy for a balanced portfolio and consistent returns.